Cleaning made simple with this removable base! 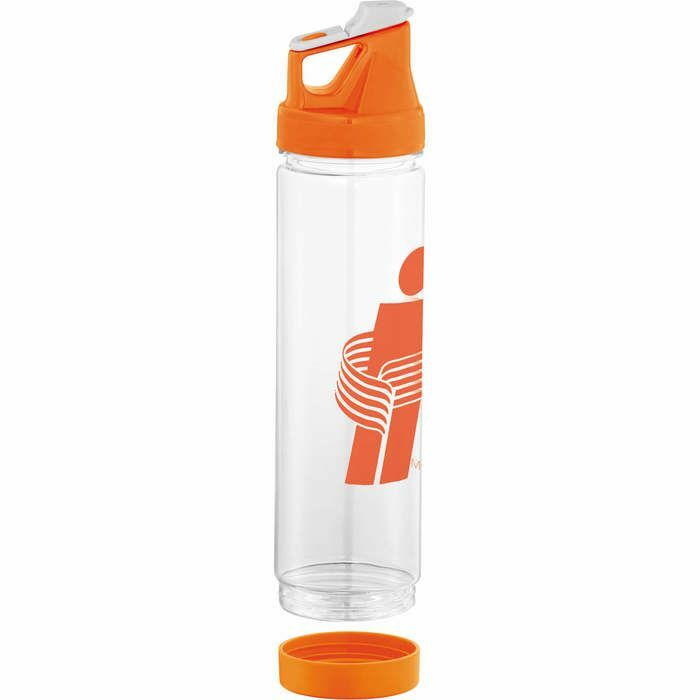 Single-wall construction sports bottle with twist-on lid and flip-top drink opening. Hand wash only. BPA-free Eastman Tritan Material.